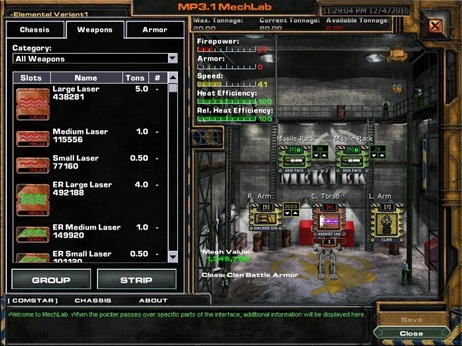 Nowadays, Mechwarrior 4 is a little dated, but it’s available for free, which certainly doesn’t hurt. However, just trying to get the MTX installer/downloader to function at all in most normal network setups might have you pulling your hair out. When it works, though, it works just fine. Nevertheless, the game is pretty solid, though it mostly trades personality for setting. This is the only one of my picks that only allows you to select a male character. 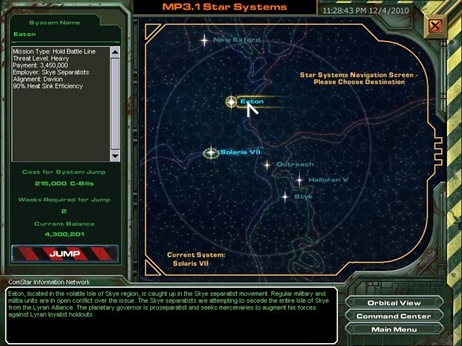 The game takes place in the Mechwarrior universe during a part of the FedCom Civil war (1 January, 3066 to late July 3067). During the game, you’ll pick up contracts for loot and salvage, and fight for – well, whomever will pay you. You can also raise your profile by competing in the Solaris tournaments, fighting arena battles. 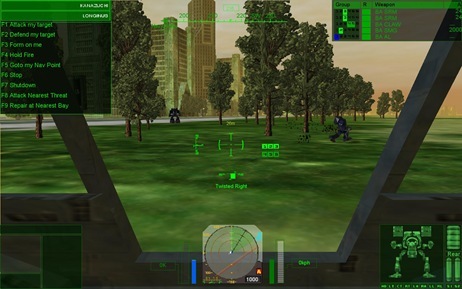 Combat is 3D and displayed in first-person from the cockpit of your chosen mech (or giant robot, for those of you not up with the Mechwarrior themes). You’ll be battling aircraft, ground-vehicles, naval vessels – and other mechs, of course – while tackling emplaced defences and trashing the occasional building. There are a wide variety of missions on offer, and a fair spread of difficulty that will have a lot of your favourite hardware in the repair-bay for days or weeks. During missions, you’ll have the support of up to seven other mech pilots, assuming you can keep them in cash and hardware and depending on the exact mission profile. As it is organised around specific missions, you don’t have as free a hand in Mechwarrior 4, but it allows the storytelling to be a little stronger – and often there are surprises during a mission. Things certainly don’t always go according to plan. The game sports three different endings, based on the level of support you’ve provided to the primary factions (Steiner or Davion) during the war.